The challenge with this booth was showing food without serving food. 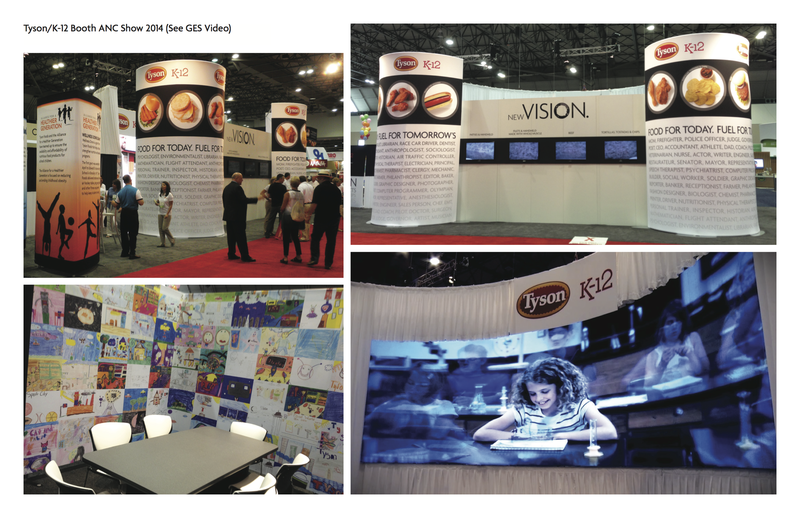 School foodservice directors were dealing with the USDA changes in school meal regulations, and Tyson K-12 had new products to deliver on those new standards. We decided to stick with the story of what we feel like our food helps school children accomplish. It’s a look toward the future rather than dwelling on the current struggles of menu changes. The copy around the booth focused on the tagline “Food For Today. Fuel For Tomorrow’s Dreams.” We had a long list of professions that these children could choose along with children’s drawings of what they thought 2023 would look like. A large LED theater had three rotating videos that followed the food through its life cycle. From the Farm shows where our food begins. K-12 New Product Development shows how the team develops new products. Fuel For Tomorrow’s Dreams shows what we hope our food allows children to accomplish. To overcome the challenge of not serving food in the booth, we decided to use technology. 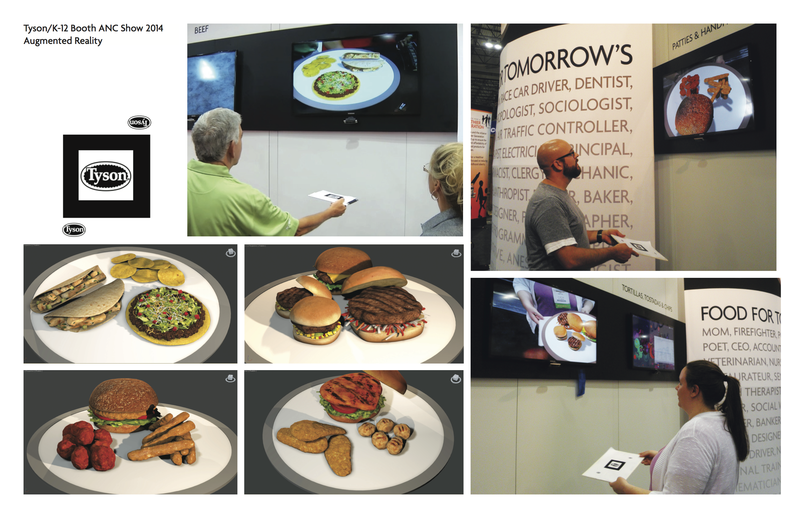 We worked with GES to develop augmented reality 3-D models of our food. It was a huge draw to the booth, and the potential customers were able to see the new products without the expense and labor of preparing food in the booth.